Blizzard really love to show off their new toys and Heroes Of The Storm is no exception. By now you will all be very familiar with the legendary shorts that Blizzard have been releasing for their games, they are fun and its a great way to build up hype for an upcoming release. Usually they go for a computer generated short, that in some cases can make one a little weepy, but just like they did for Doomfist in Overwatch they have returned to an Anime format. Which is perfect because what we are about to show you is… Mecha. Can these titanic heroes defeat their insidious foe..
Now unlike previous shorts this one is a little light on story, but what it lacks in this department it more than makes up for in style and action. 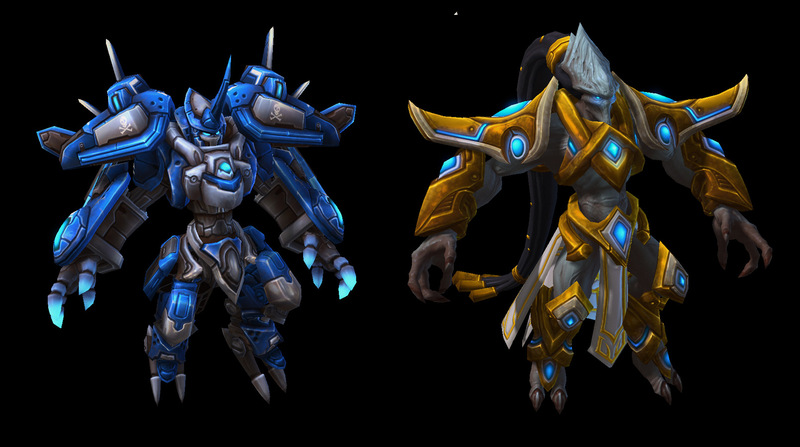 What the video is here to do is to promote several Heroes of the Storm characters getting new Mecha Skins. If your character was not afforded one of these, fret not old chum because there will be more skins released throughout the year. The old saying is right, everything’s better with Giant Robots.